Q: A lot of things have come in between... Just a few more Q's before I order. When I highlight an item on "onload" I need to expand that item's parent(s), right? What will happen to other, already expanded nodes when I do that? Will they still be expanded or collapsed? A: 1) menuInd is the index of a tree menu on a page, >= 0. 2) Yes, the already expanded nodes will be expanded. Q: Will this menu rollout from within an iframe over a regular frame underneath it? A: Deluxe Menu doesn't work with <IFrame> objects. They work with objects only. All they can to do with <IFrame> is to loadpages into it. I just want to use the API to change the icon on the menu items. 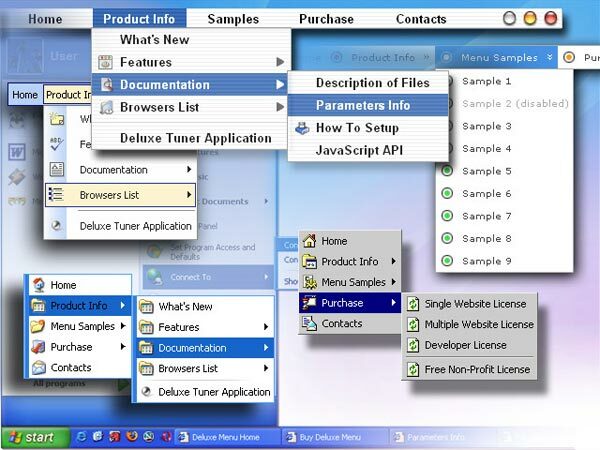 How do I code a drop-down menu? 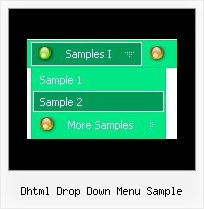 ... to easily build Drop-Down menus, CSS menus, AJAX effects, Sliding menus, ... Menu Examples can be found here. This site should be bookmarked ... A useful software that helped me create dhtml menus really quickly!